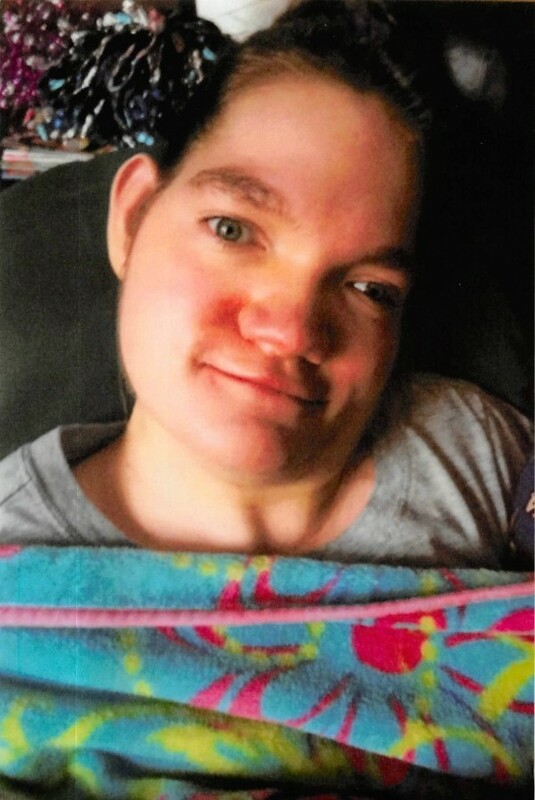 Shauna Raye Donner went home to her Lord on Wednesday, March 20, 2019, at Essentia Health, Fargo, ND. A funeral service will be held at 1:00pm on Thursday, March 28, 2019, at Beautiful Savior Lutheran Church, Callaway, MN, with visitation from 11:00am – 1:00pm, prior to the service. Shauna was born on February 12, 1989, in Detroit Lakes, to Brian and Shannon Donner. She was a special girl who loved playing with her bells, balloons, and pom poms. Music was a comfort to her, along with the voices of her loved ones, especially her mom’s. Over the years, Shauna received exceptional care from numerous nurses, especially from Deb, Helen, Kathy, and Sharon. Shauna will be lovingly remembered by her parents, Brian and Shannon Donner, of Ogema, her brother Shane (Jenn) Donner, and nephew Kasyn of Detroit Lakes, Grandmothers Emily Donner, of Ogema, and Cleo Baker, of Callaway, Godparents/Uncle and Aunt Troy and Nancy Baker of Callaway, Aunts Shelley Bunnell (Jake Ruchti) of Callaway, Julie (George) Hamer, of Brookings, SD; Uncles Jim (Janet) Donner, Ron Donner, Gary Donner, Bruce Donner, all of Ogema, and Jeff (Joni) Donner of Graham, WA, and many cousins. Shauna is preceded in death by her Great Grandmothers Gertrude Krupika, Vienna Baker, and Irene (Diz) Spry; Grandfathers Oliver Donner and Lowell Baker; her uncle Kevin Donner, and cousins Scott Donner, Todd Donner, and Shawn Tieken. We would like to offer our sincere thanks and gratitude to the amazing doctors and nurses of Essentia Health at Detroit Lakes and Fargo, along with the Emergency Room and EMS staff of Detroit Lakes who provided exceptional care to our daughter Shauna.